[prMac.com] London, United Kingdom - CMG Research Ltd today are pleased to announce the release of Heart Rate Free 1.0, a new iPhone app that uses the iPhone's camera to measure your heart rate. 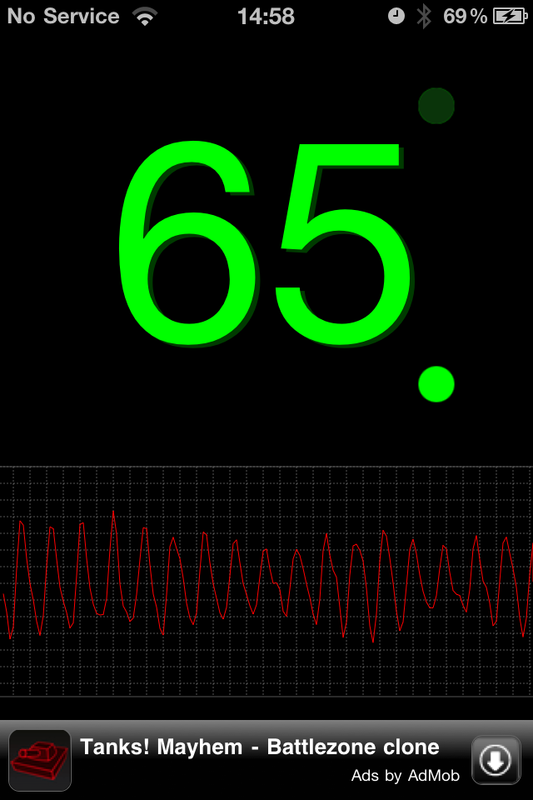 Simply place your finger over the camera lens and after a few seconds the app will display your pulse rate along with a chart showing you heart beat. The application is available exclusively for iPhone4 devices and uses features from iOS4.0 that provide direct access to the camera. The user's heart rate is measured by examining the minute changes in skin colour that are caused by blood flowing in and out of the finger. The data extracted from this is then filtered and passed into a processing engine that detects the heart beats per minute. Although the application is intended purely for fun and entertainment and is not designed for medical use, it does provide an accurate measure of the users instantaneous pulse. Heart rate free builds on the expertise that CMG Research Ltd has built up in the area of augmented reality from it's original popular camera based application "Sudoku Grab" which was the first application on the iPhone that allowed you to take a photograph of a Sudoku puzzle and play it on your phone. Heart Rate Free 1.0 is free and available worldwide exclusively through the App Store in the Entertainment category. Located in historic London, United Kingdom, CMG Research Ltd is a privately funded software and hardware consulting company founded in 2007 by Chris Greening. As well as a solid academic background, Chris has over 15 years commercial experience working with a variety companies and has held a number of different positions. Copyright 2007-2008 CMG Research Ltd. All Rights Reserved. Apple, the Apple logo, iPhone and iPod are registered trademarks of Apple Computer in the U.S. and/or other countries.